The casino operates 24/7, except on select holidays. The casino is closed between 3am and 10pm on Good Friday as well as Christmas Day and between 3am and 12pm on Anzac Day. 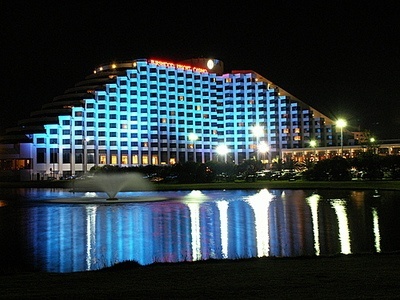 Conveniently located on the Swan River's eastern shore, the Crown Perth is Western Australia's top gambling destination. Since first opening as the Burswood Island Casino over three decades ago, the property has undergone major renovations and expansions that make it fit to carry the Crown banner. The luxurious resort offers visitors 24/7 gaming with more than 240 gaming tables and 2,000 electronic games. Roulette fans in particular can take advantage of conventional roulette, rapid roulette, and Vegas star roulette, but gaming merely scratches the surface of what's on offer. With two luxurious hotels on site, 32 eateries and bars, a fabulous nightclub, a massive theatre, and amazing recreational facilities, it's easy to understand why the casino is a hit with locals and tourists alike. 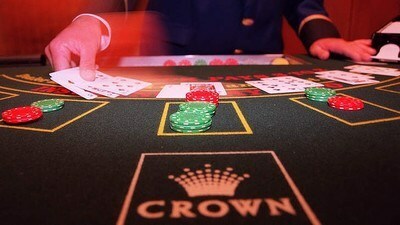 Crown Perth is a great venue for amateur and professional roulette players alike. Not only will you find multiple means to enjoy the game, but it's easy to find real and virtual tables to meet just about any budget. Take advantage of European and American roulette renditions, although we obviously prefer the former for its superior payouts. It's never hard to find room at table no matter what your budget happens to be. Even during weekends and holidays, there is enough action to satisfy the most spirited crowds. That's probably because Crown Perth gives players numerous ways to enjoy roulette. Crown visitors will probably notice that the casino has embraced technology, especially in the realm of roulette. Aside from conventional tables staffed by croupiers, players can enjoy rapid roulette as well as Vegas Star roulette. Rapid roulette is a semi-automated game hosted by a dealer, but instead of using chips you'll bet by tapping on a touchscreen. It's a great way to enjoy games, especially for beginners and anyone who wants the chance to play for lower stakes. Vegas Star roulette brings you entirely automated gameplay in a touchscreen format. It's perfect for playing at your own speed with zero pressure. If you're looking to really raise the stakes, you'll want to head to the exclusive VIP areas. The Riviera Room offer high stakes roulette tables as well as Vegas Star roulette in an elegant environment. For a truly transcendent experience, the Pearl Room is the place to be. Reserved exclusively for high rollers and patrons with impeccable taste, the gorgeous space offers intimate gaming in refined environs with spectacular panoramic views to match. While roulette is definitely a highlight at Crown Perth, you can also count on all the usual casino offerings. Hit the tables to enjoy baccarat, blackjack, blackjack plus, crown stud poker, casino war, money wheel, pai gow, and crown hold'em. When you consider there are over 2,000 electronic games, it's not hard to find your past, present, and future favourites. If poker gets your juices flowing, be sure to check out Crown Poker. Enjoy weekly tournaments, major tourneys, and lots of cash games for Texas hold'em and Omaha fans alike. The casino has plenty of jackpot games too, with several prizes topping the million-dollar mark. Although casinos are designed for fun, they can be intimidating to new players. Luckily, Crown Perth is dedicated to making everyone feel comfortable and at home, regardless of their skill level of budget. Floor staff are always happy to teach you how to play and answer any questions. Of course, you can easily interact with the casino's tutorials on your smartphone. If you think you deserve special attention, you'll want to join the Crown Club. It's the easiest way to get the most out of every visit. The best part is membership is free. You can find more information in the next section of our review. The Crown calendar is always jam-packed with rewarding promotions. There are always great opportunities to take home a luxury car, motorcycle, Winnebago, or huge pile of cash. That's on top of the huge progressive jackpots that are up for grabs. As we mentioned earlier, we highly recommend signing up for the Crown Club. The loyalty program lets you accumulate points whenever you play, stay, drink, or dine. It's a great way to get the recognition you deserve including discounts, access to exclusive VIP areas, free parking, special birthday perks, and much more. 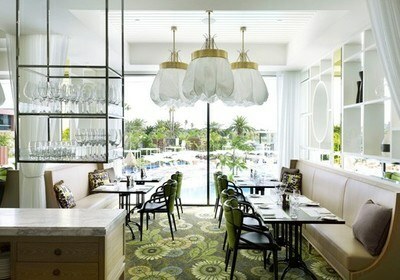 Crown Perth proudly offers some of the finest food in Perth with six premium dining experiences. Bistro Guillaume Perth offers a modern twist in delectable French fare, while Modo Mio puts the passion of Italy on the menu. If you find yourself craving Asian fare, Nobu brings the Land of the Rising Sun directly to your palate and Silks offers Western Australia's best Chinese cuisine. For sizzling succulent steaks, Neil Perry's Rockpool Bar & Grill is the place to be. No proper casino can be complete without an impressive buffet, which Atrium delivers. You'll also find great casual and fast food choices that covers the culinary map. Whether you feel like enjoying a cocktail or hitting the dance floor, you can count on great spaces to unwind and let loose. In addition to the eleven onsite bars, Minq offers intimacy and elegance in a modern lounge setting. If you're ready to party, the fun never stops at Eve nightclub. Crown visitors can enjoy modern and luxurious accommodations at the 291 room Crown Promenade and 397 room Crown Metropol, but the palatial Crown Towers are slated to open in December 2016. No matter where you stay, you'll want to take advantage of the ISIKA Spa. It doesn't matter if you want to work out, take a dip in the pool, or get a fusion stone massage, you'll always feel like you've made the right decision. There's always great entertainment at Crown Perth. Enjoy Vegas-style revue shows, live theatre, and musical acts from all over the world. You'll also find fantastic DJs and musicians performing in various lounges and bars. Crown Perth accepts a whole host of Australian-friendly banking options. These include Visa, Mastercard, Maestro, PayPal, POLi, Neteller, Ukash, ClickandBuy, and many more.